By now you've all heard about the outbreak of chronic wasting disease (CWD) in Wisconsin. The heart of the matter is that this little-understood disease always kills the deer and elk that get infected. In addition, it is closely related to "mad cow disease" and this has hunters nervous about eating the meat, even though there are no documented cases of CWD spreading to humans. 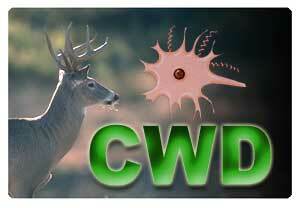 Interactive Discussion - Are you concerned about CWD? proposed several strategies, including unlimited landowner permits, to literally wipe out the 15,000 deer that live in and around the hot zone in western Dane County and eastern Iowa County in Wisconsin. That's all the deer in a 287-square-mile area. And around that zone they also want to lower deer numbers to 10-15 per square mile. They expect to be hammering deer there for at least five years. Now, based on science, Wisconsin is doing exactly what they need to do to protect the future of deer hunting. Enter those opposed. One woman in the area said . . . "a panic mentality is going on." I hope so, CWD is serious stuff. She added, "we have decided to slaughter based on hysteria." "In Colorado, slaughter didn't stop it." Well, first off, the "slaughter" (which is really what it is) is not based on hysteria, it is based on what little we know about CWD. The modeling study done in Colorado showed that the more deer you take out of a CWD positive area, the better your chances of stopping the spread of CWD. Second, relative to the comment that slaughtering animals in Colorado didn't stop it, the reason might be that they didn't slaughter animals. Now today in Colorado, when CWD is found, they go after the deer and elk big time. But in years past, that hasn't happened. Maybe that is part of the reason CWD is spreading in that part of the country? It would be wonderful to have more data on how to stop the spread of CWD, but right now, that modeling paper is all we have. A veterinarian in the area said that if they start shooting all the deer, the survivors will leave the area and if one is infected, this will help spread the disease. Sounds logical, but it isn't what happens. A number of telemetry studies show that adult deer do not leave their home ranges, no matter how much they are disturbed. Course, hunters will also complain about these radical steps to stop CWD, but the Wisconsin DNR has no real alternative. The potential for CWD become a major deer problem is very scary. 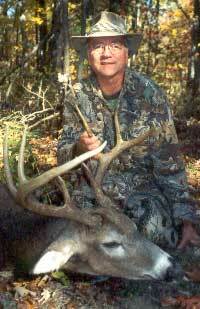 Lowering deer numbers to near zero is the best way to stop CWD. Want to think about something that is really a concern? What if this doesn't work?